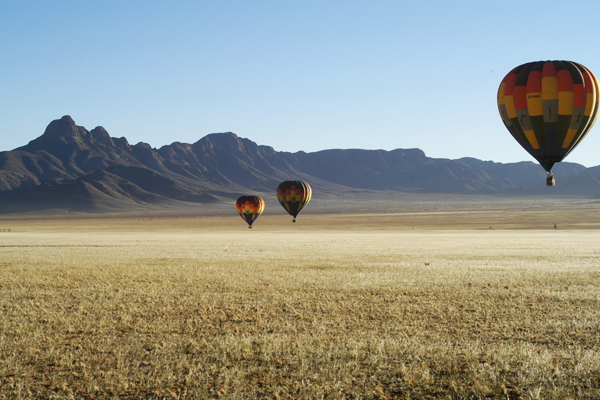 Situated along the south-western coast of the African continent, Namibia is truly a land of remarkable contrasts. With a land surface of 824 269 square kilometers, it’s nearly four times the size of Great Britain. Despite its size it is one of the most sparsely populated countries in Africa, with an estimated population of about 1.83 million people. The north-central part of the country is the most densely populated area with an average population density of 26 people per square kilometer, more than 10 times the national average. 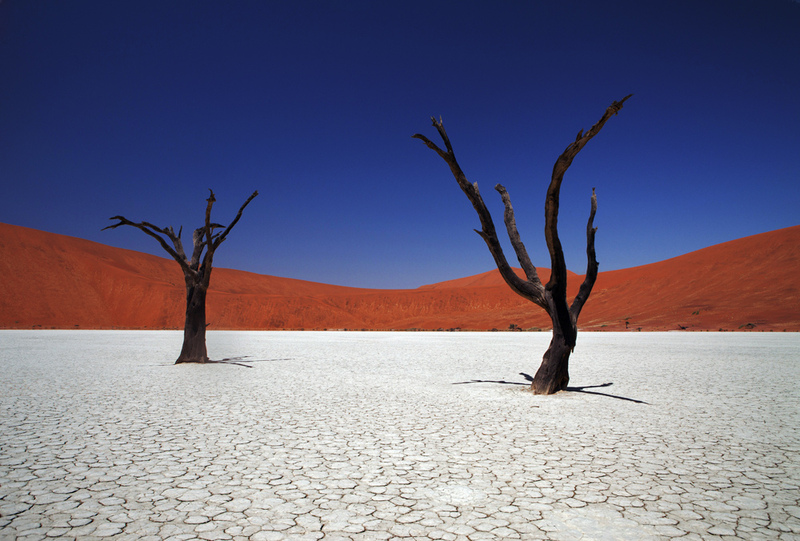 The small population is largely due to the fact that Namibia is the most arid country south of the Sahara. Average annual rainfall varies from a meager 10 mm along the coast to 700 mm in the northeast. 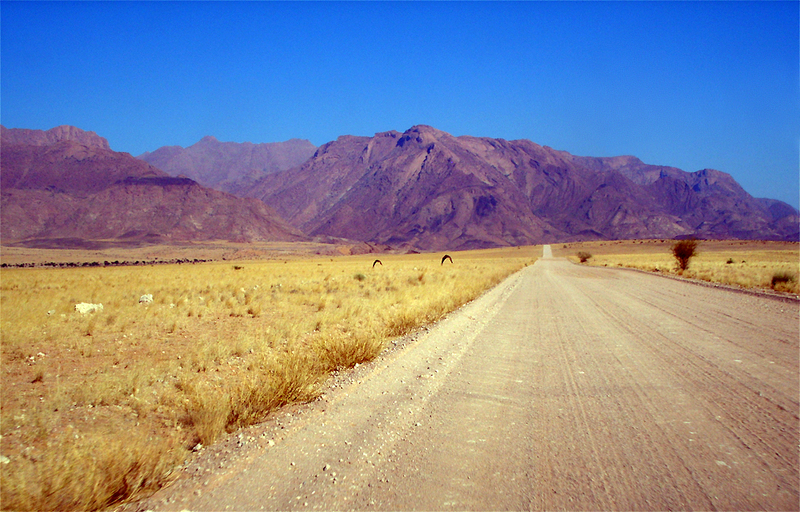 About 55% of the country is classified as either arid or extremely arid. The national average rainfall is 270 mm a year. Except for the far south which is a winter rainfall area, more than 70% of the countries rainfall is recorded between December and March. 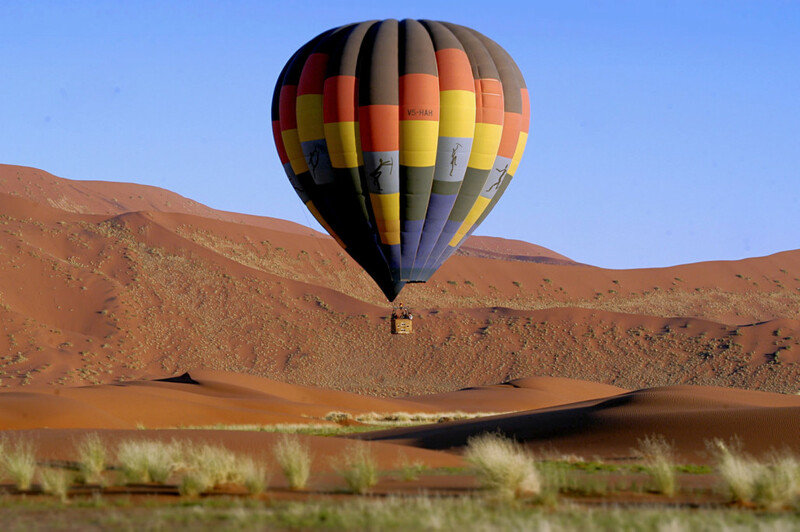 Namibia is a country of clear blue skies and a pleasant climate. The summers months are hot and temperatures of 35ºC, or higher are common in the south and in the north of the country. Winter days are pleasant, but the minimum temperatures can drop to below freezing in mid-winter. Fog is a common occurrence along the coast, but usually lifts around mid-morning and settles in again in the afternoons. 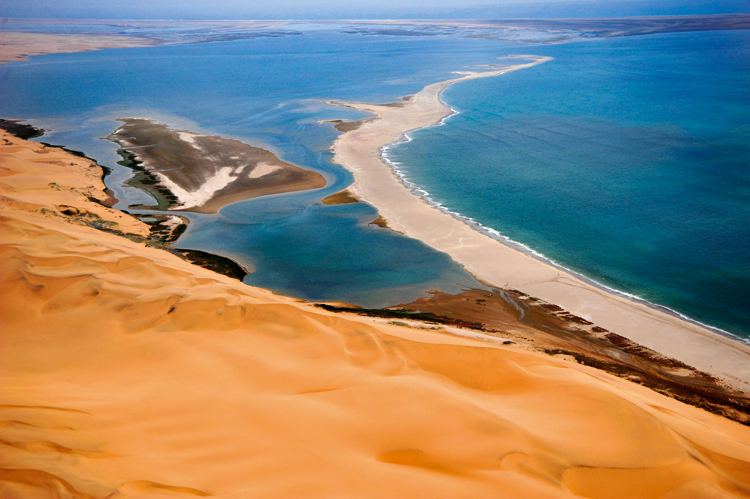 The countries landscapes are a never changing kaleidoscope - changing from the Namib dune sea in the west to teak woodlands and waterways in the north-east. 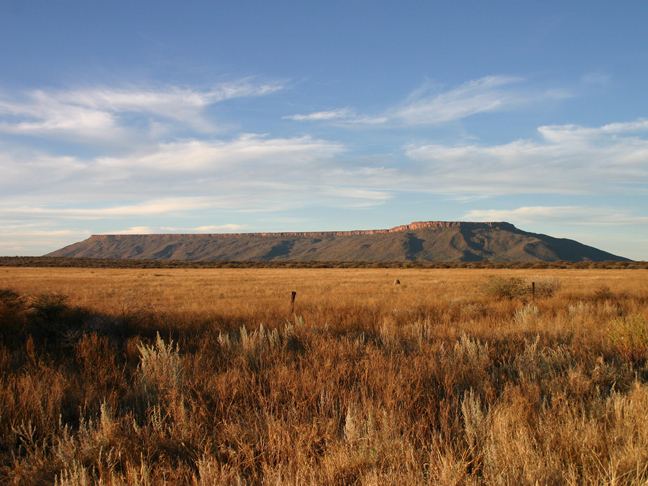 The Namib Desert in the west and the Kalahari in the east account for about 22% of the countries surface, while savanna-type vegetation types are characteristic of 58% of the Namibian landscape. The remaining 22% is represented by the forest savanna and woodlands of the far north and northeast. Namibia’s peoples are diverse; ranging from the pastoral Himba in the northwest, to the San in the east. Tall of stature, Himba men somewhat resemble the Masaai of East Africa, while the women cover their bodies in red ochre. Culturally they form part of the Herero cultural group. The San no longer pursue an exclusive hunter-gatherer existence, but are struggling to adopt to a new way of life. Colonised by the Germans in 1884, Namibia was administered by South Africa from 1917 to 1990. Between1966 and 1989, the liberation movement, Swapo fought a bitter armed struggle against South Africa which finally led to the implementation of United Nations Resolution 435 on April 01, 1989. 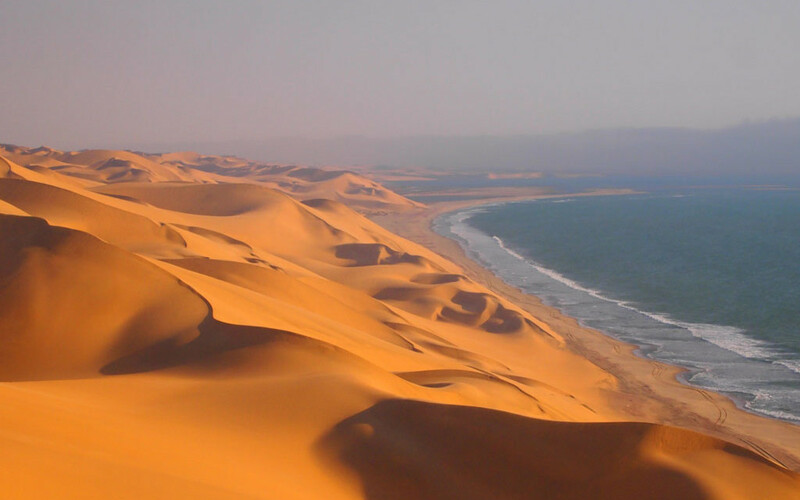 Namibia became independent on March 21, 1990, while the Walvis Bay enclave was reintegrated on March 01, 1994. For administrative purposes the country has been divided into 13 regions administered by Regional Councils. The bicameral Parliament consists of the National Assembly which has 72 MPs elected on a proportional basis every five years, and six nominated MPs, and the 26 member National Council. The economy centers around agriculture (mainly stock farming), fishing and mining, the country’s most important earner of foreign exchange. Namibia is one of the top diamond producing countries in the world, while uranium, tin, copper, lead, zinc are other important minerals. The agricultural, fishing and mining industries account for more than 25% of GDP, while tourism is a major economic activity. 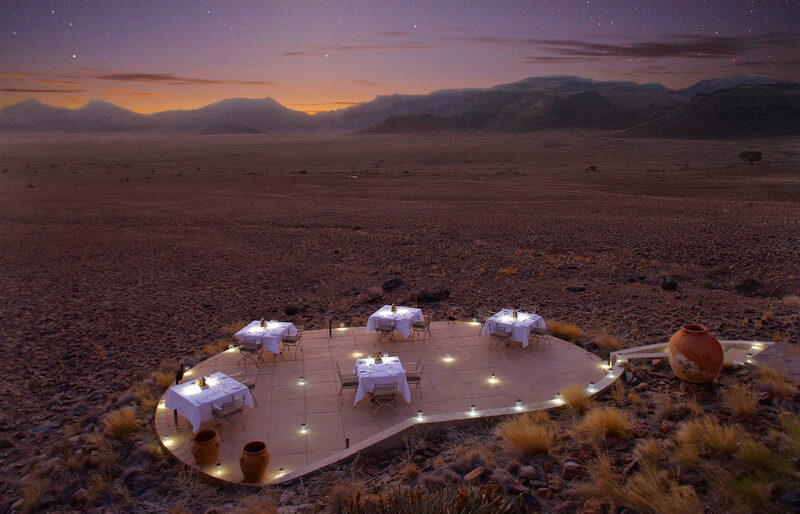 An example of how we can introduce you to hi-lites of Namibia in just 27 days. Remember. 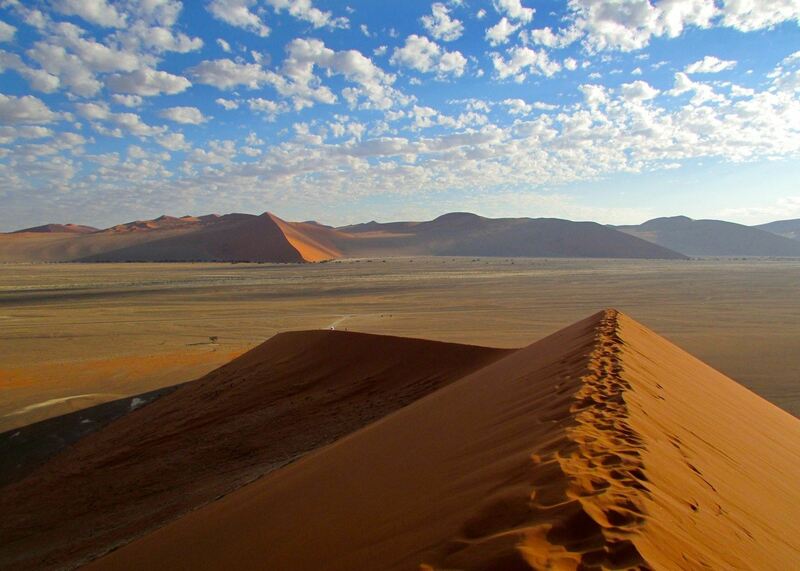 You don’t need a 4x4 to tour Namibia. Arrive Windhoek, own arrangements. Pick up your safari vehicle, either a VW Kombi or similar or your fully equipped camper or meet your guide for the duration of your tour. Overnight at a B&B / Hotel / Camp site in Windhoek. 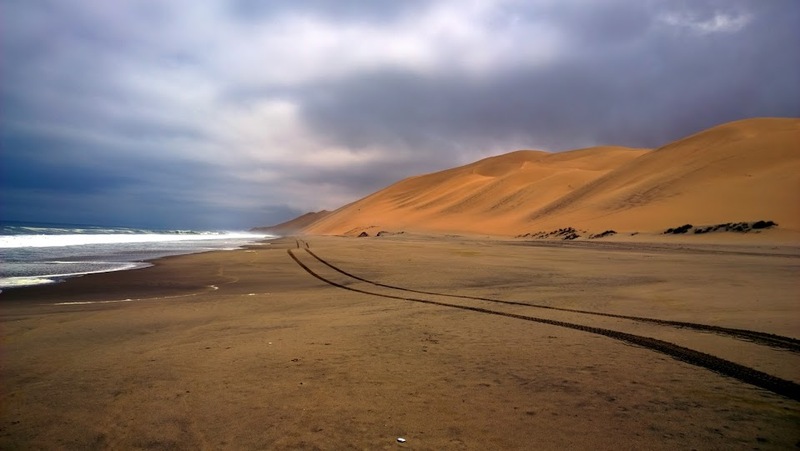 Today is a day of travelling, to get to the southernmost point of Namibia, and from there you will slowly work your way north to Etosha, in northern Namibia, and then back south again to Windhoek to connect with your return flight back home. 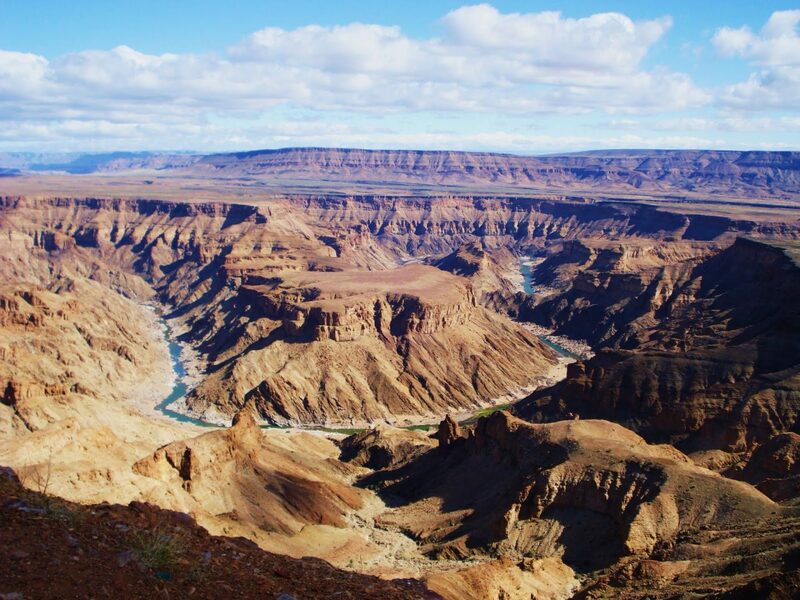 Overnight at the Fish River Canyon, the second largest Canyon in the world, next to the Grand Canyon in the US, in a local B&B / Hotel / Campsite close to the Canyon. Full day spent exploring the Fish River Canyon. 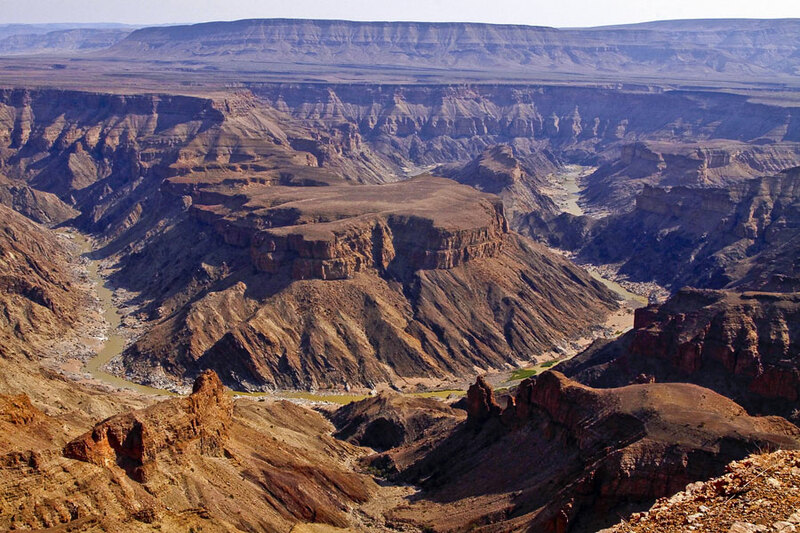 Overnight at the Fish River Canyon at a local B&B / Hotel / Campsite close to the Canyon. Today you head north on the C13, a dirt road, that any standard road car can handle comfortably to Aus, and then head west to Luderitz Bay. Overnight at local B&B / Hotel / Campsite in Luderitz Bay. 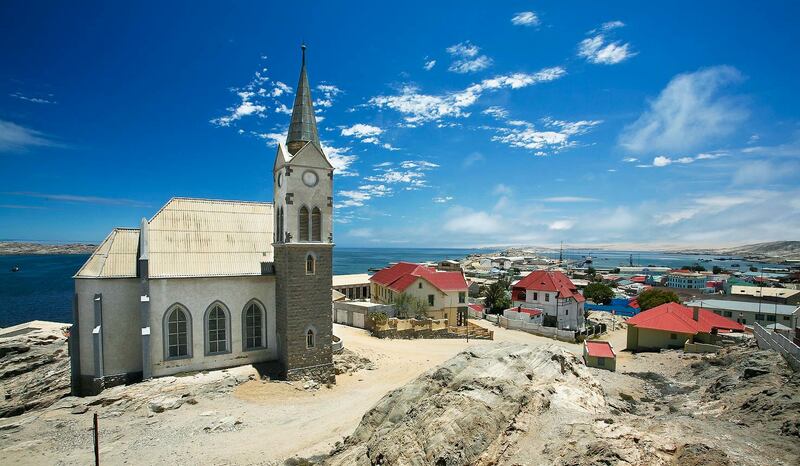 Luderitz is situated on the northern concession of the De Beers Mining area, and a full day guided tour to ghost mining towns in 4x4’s is highly recommended. You need permits etc to enter this diamond area, and we will organise the tour and all the permits that you require. Overnight at local B&B / Hotel / Campsite in Luderitz Bay. 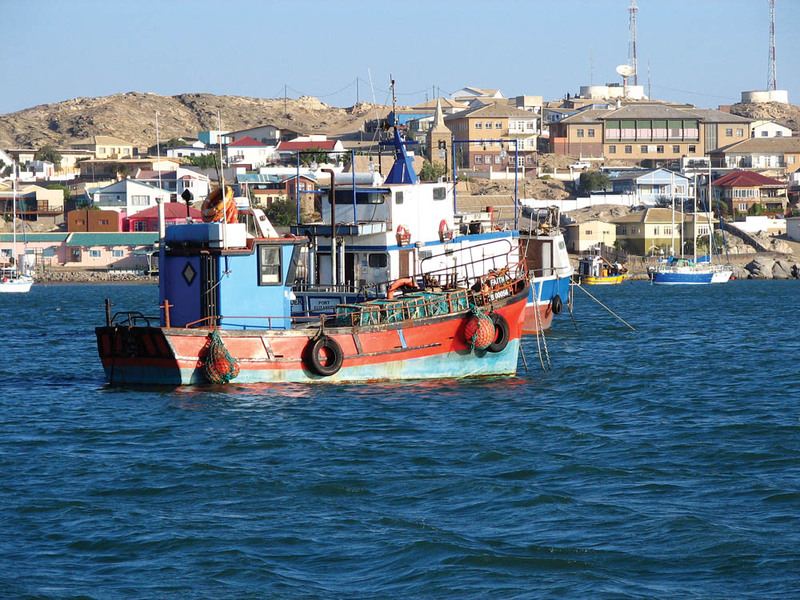 Full day spent exploring the Luderitz Bay area on your own or with your guide. 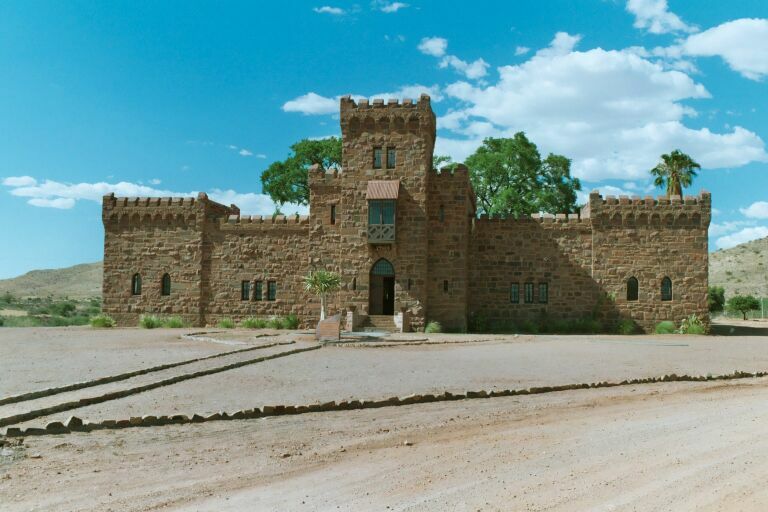 Depart Luderitz for Duwisib Castle where you overnight. Overnight at Farm Duwisib either in a chalet or at the Campsite. 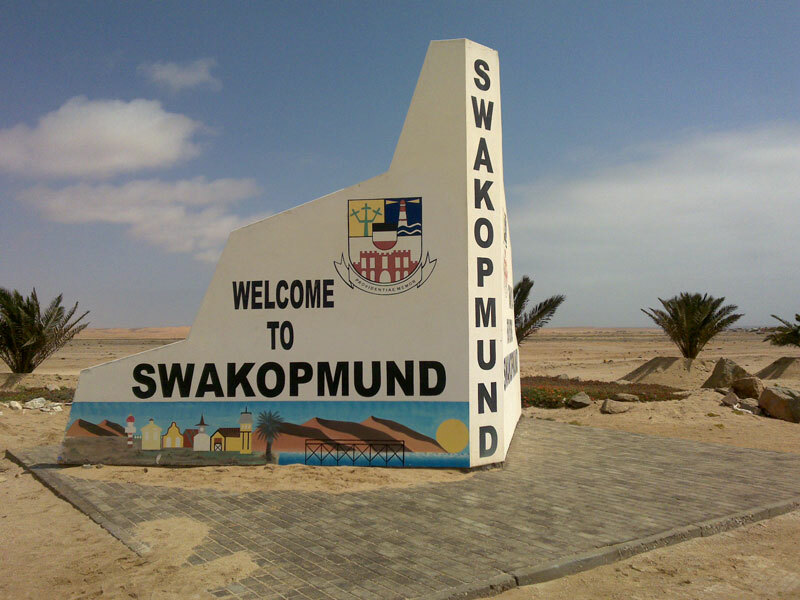 After breakfast you will head north on the C19 to Solitaire, and join the C 14 to Walvis Bay and then onto Swakopmund. 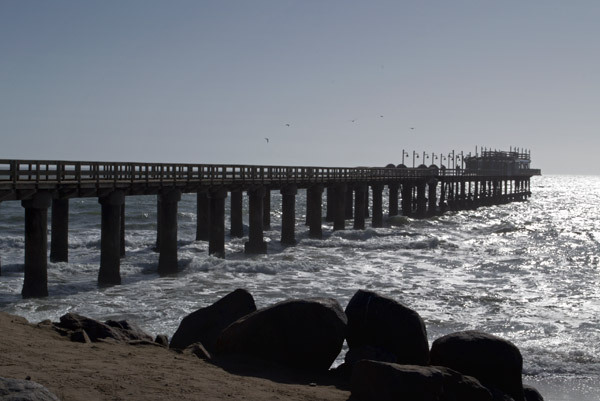 Don’t spend time at Walvis, as you will base yourself at Swakopmund, and spend a few days exploring the area from Swakop. Overnight at local B&B / Hotel / Campsite in Swakopmund.There are so many great German restaurants to experience in the town of Swakop & Walvis. Enjoy! 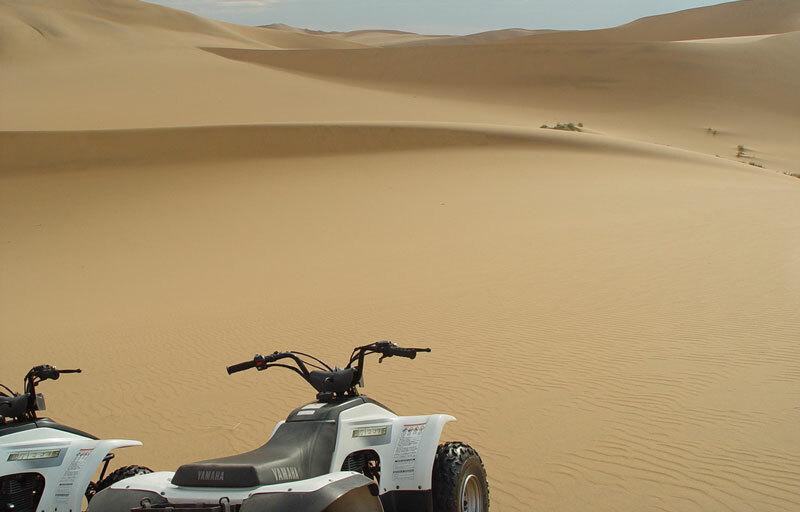 After breakfast, we suggest you retrace your steps and return to Walvis Bay and go on the morning 4 hour historian dune quad bike tour with Kuiseb Delta Adventures. 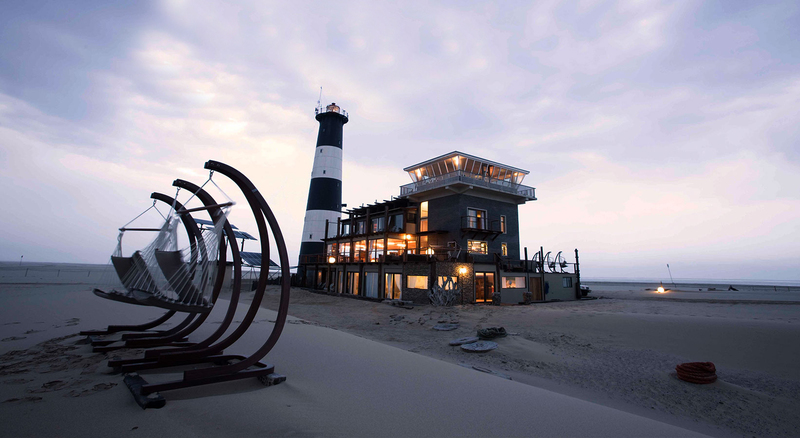 www.kuisebonline.com Have lunch in Walvis and explore the area on your way back to Swakop. 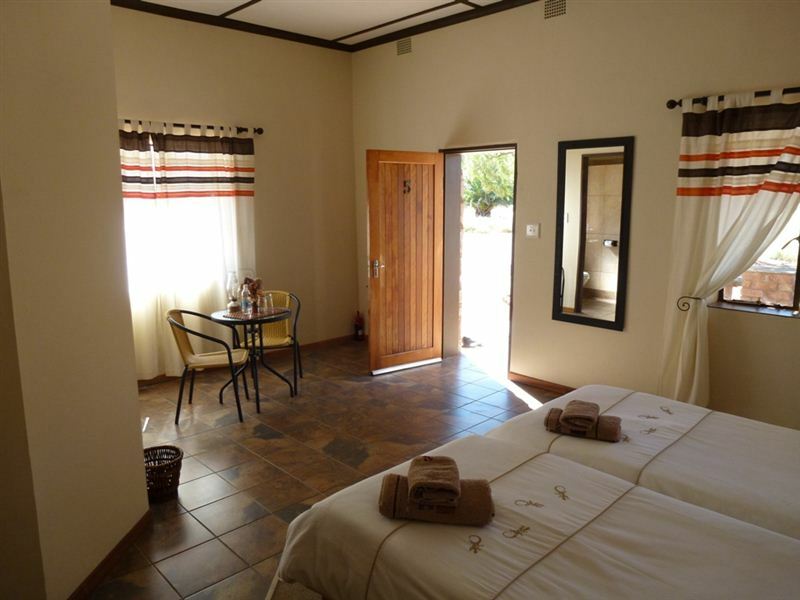 Overnight at local B&B / Hotel / Campsite in Swakopmund. After breakfast we suggest you return to Walvis and do the mornings kayak trip to Pelican Point with Eco Marine Kayak Tours www.emkayak.iway.na visiting the Cape Fur Seal colony whilst being accompanied in your kayak by dolphins, pelicans, cormorants and other friendly marine and birdlife. This trip is only done in the mornings so as to take advantage of the calm sea conditions. By noon, the wind is usually howling, making kayaking impossible. 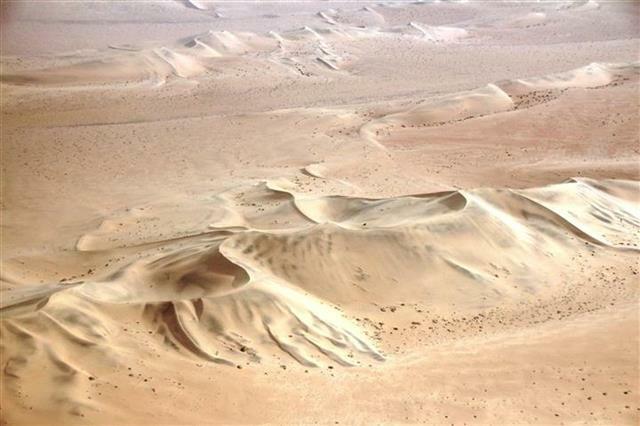 In the afternoon, we suggest we book you on Eagle Eye Aviation’s 2 hour 15 minute Cape Cross Scenic flight www.eagleeyeaviation.com.na They also offer shorter 1 hour 15 minute Skeleton Coast Scenic flights. 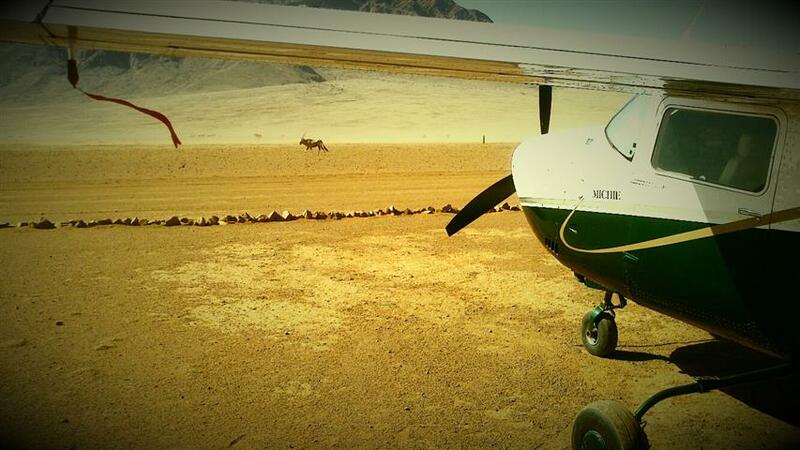 A scenic flight over the skeleton coast is a must, it’s like The Fish River Canyon, Sossusvlei and the desert quad safari. You’ve come all this way, please don’t miss it. You will not forget it for as long as you live. 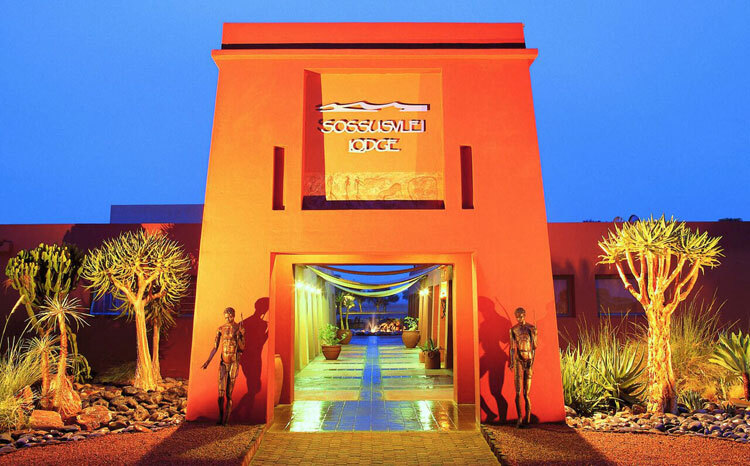 Overnight at local B&B / Hotel / Campsite in Swakopmund. 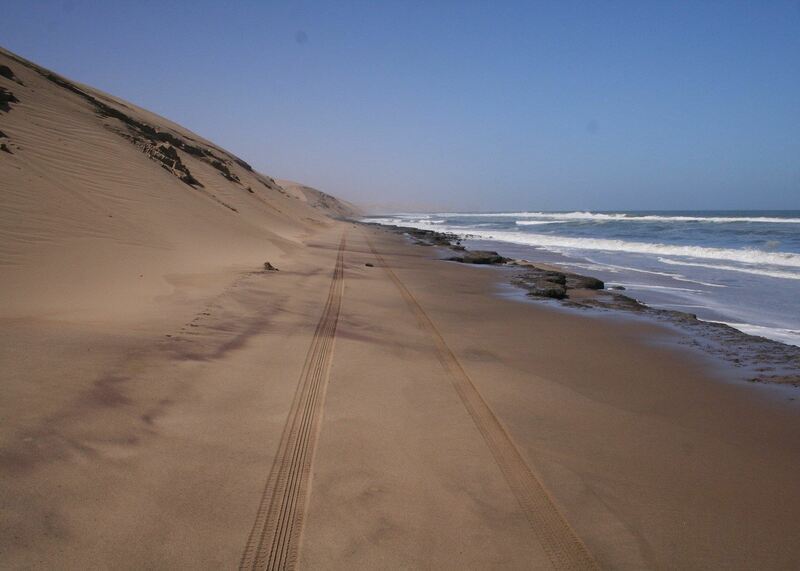 Today, we suggest a full day’s guided 4x4 tour to Sandwich Harbour http://www.sandwich-harbour.com/activities/tours/ Overnight at local B&B / Hotel / Campsite in Swakopmund. 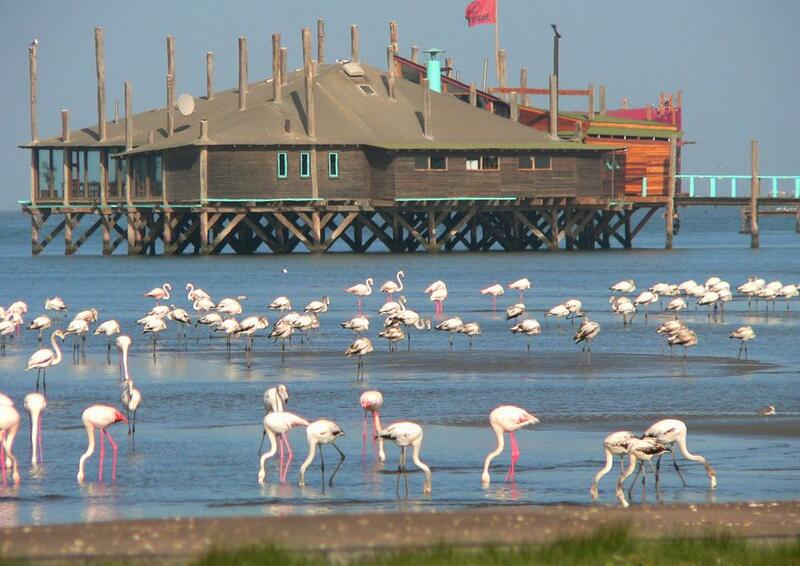 It’s going to be hard to drag you away from the Walvis / Swakop area, but there is a lot more to see and experience. After breakfast you head north on the C 34 to Henties Bay and then north-east, on the C 35 to Uis, and The Brandberg. Overnight at a hotel / B&B in Uis or at the Brandberg Rest Camp in your Camper. Full day spent hiking in the Brandberg Mountains. Overnight at a hotel / B&B in Uis or at the Brandberg Rest Camp in your Camper. After breakfast you continue north on the C 35 to Khorixas where you head west to Vingerklip Lodge. Overnight at a Vingerklip Lodge or at a campsite near Vingerklip. 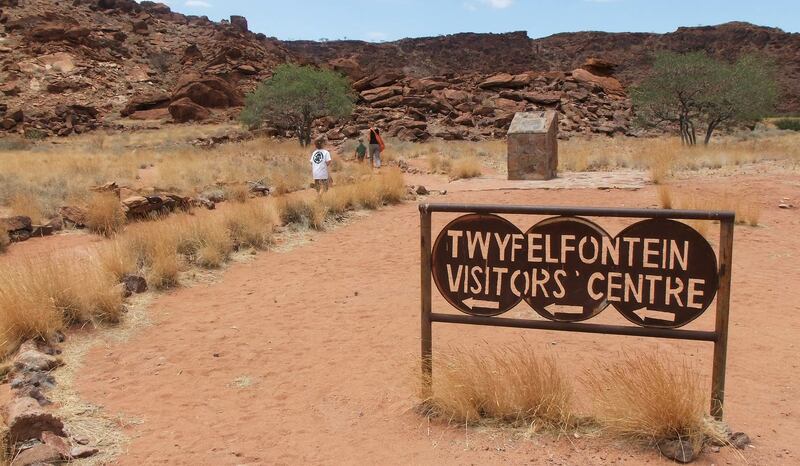 Full day spent exploring the Vingerklip / Twyfelfontein area including the Petrified Forest, Burnt Mountain and rock engravings, not to mention the desert elephants. 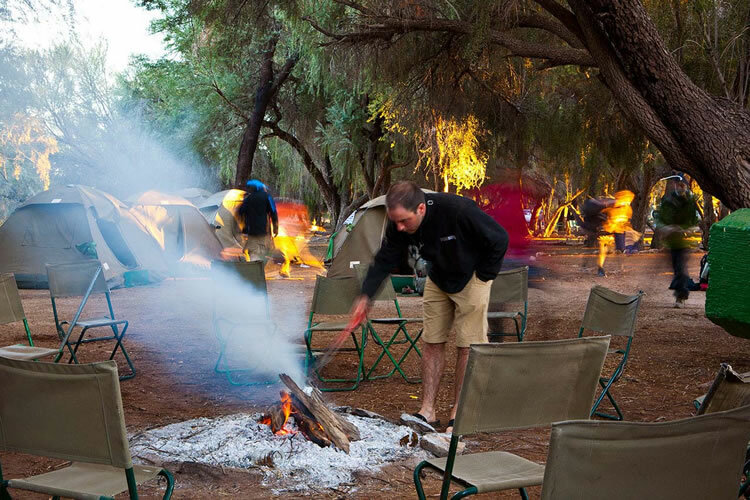 Overnight at a Vingerklip Lodge or at a campsite near Vingerklip. Today you head for the Etosha National Park, touring en route. Etosha is another of the “Must-See’s” in Namibia. You haven’t been to Namibia unless you’ve been to Etosha!! 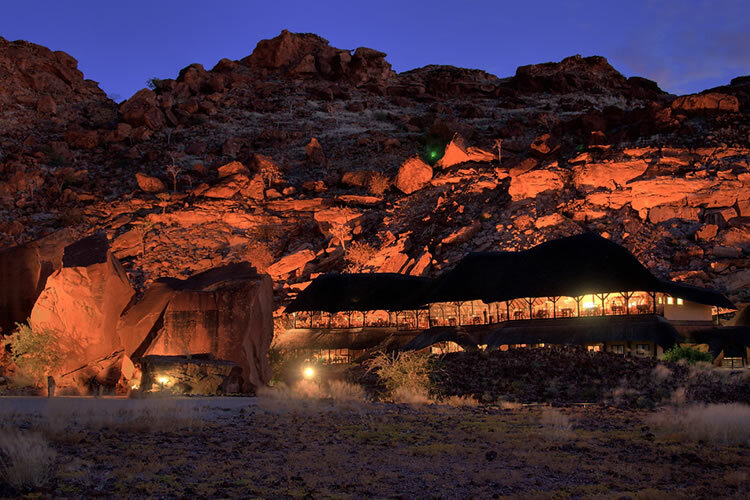 Overnight at Okaukuejo Rest Camp, either in a chalet or at the campsite. The Etosha National Park covers an area of 22 912 Km2. The word “Etosha” means “Great White Place.” The Park, when first proclaimed in 1907, covered an area of approximately 80 000 Km2. After several “reductions,” it was finally reduced to its current size. The Pan covers some 4 731 Km2. At its wides point it is approximately 110 km by 60 km. The Panis mostly dry except after heavy rains when it floods, mainly from the Ekuma & Oshigambo Reivers in the north. In the east, Fischers Pan is fed from the Omuthiya and Omuramba-Owambo Rivers. This extension of the main Pan can usually hold water for much of the year. Permanent springs are plentiful in the south, fed by the water reserves in the porous bedrock, which permeate out onto the impermeable clay floor of the Pan. 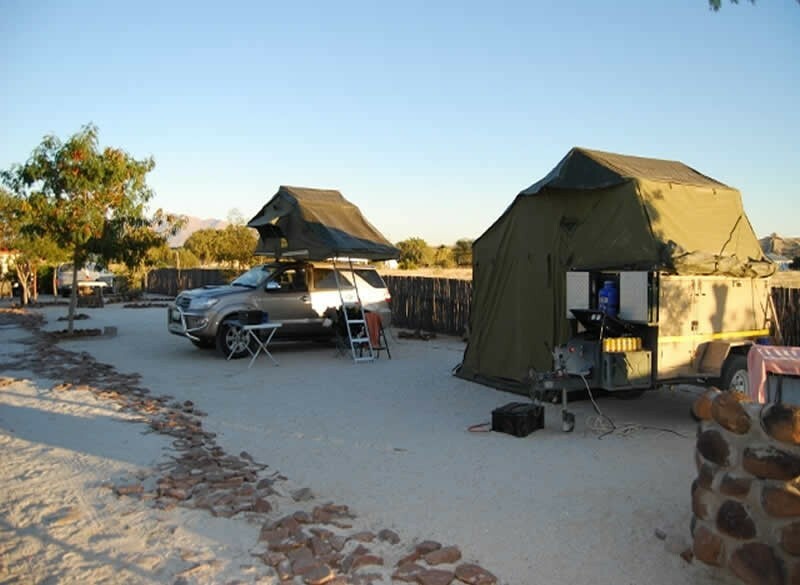 Full day spent on safari in Etosha, with your driver / guide or on your own in your minibus / camper. 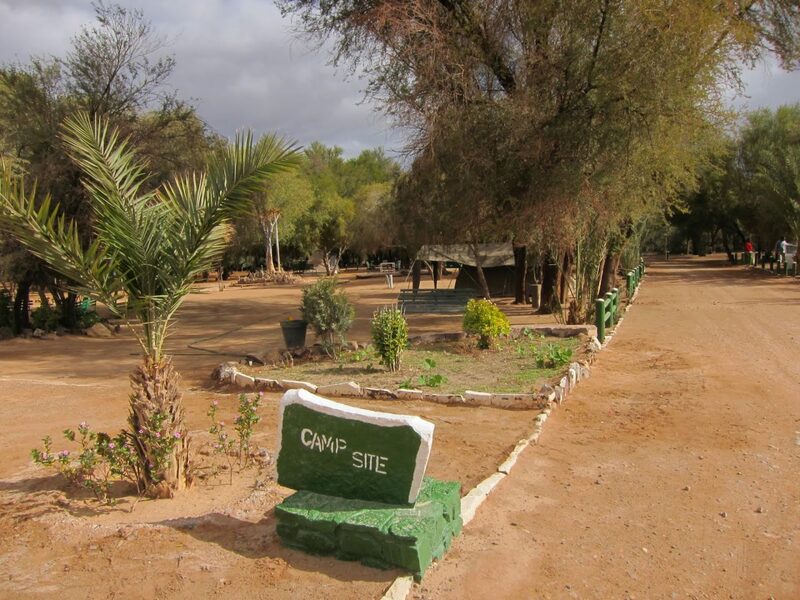 Overnight at Halali Rest Camp, either in a chalet or at the campsite in your camper. Another full day exploring Etosha looking for animals with your guide or on your own in your minibus or camper. Overnight at Namutoni Rest Camp, either in a chalet or at the campsite in your camper. 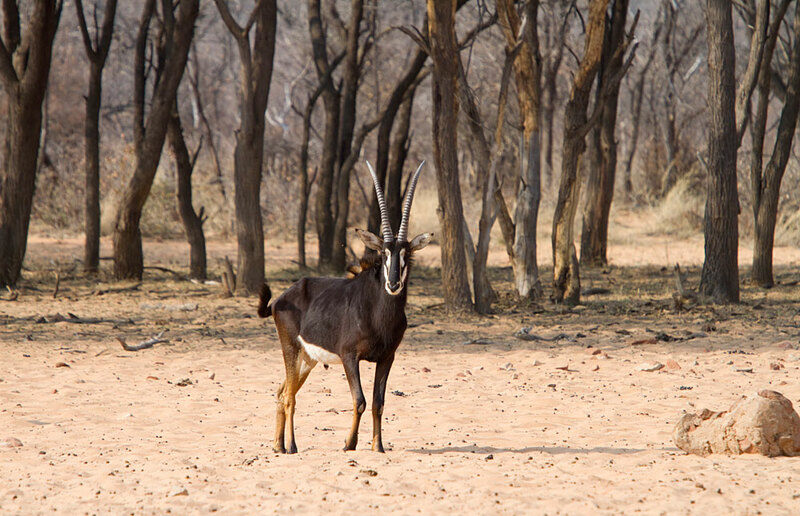 After the early morning game drive you will continue south to Otjiwarongo, and then head east to the Waterberg Plateau Park. 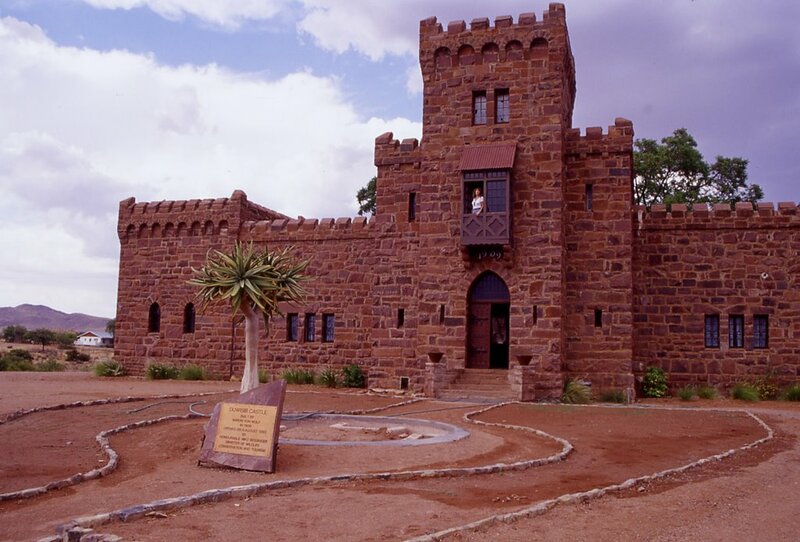 Overnight at Waterberg Plateau at a local B&B nearby or at the campsite in the Park. 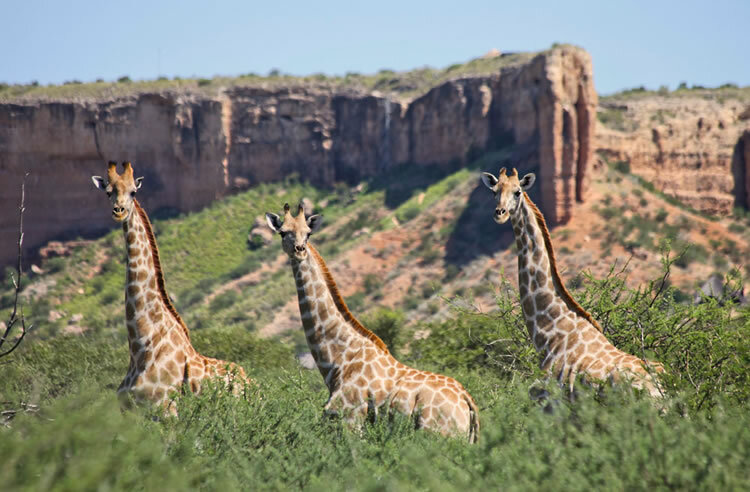 Full day on safari on the Waterberg Plateau. 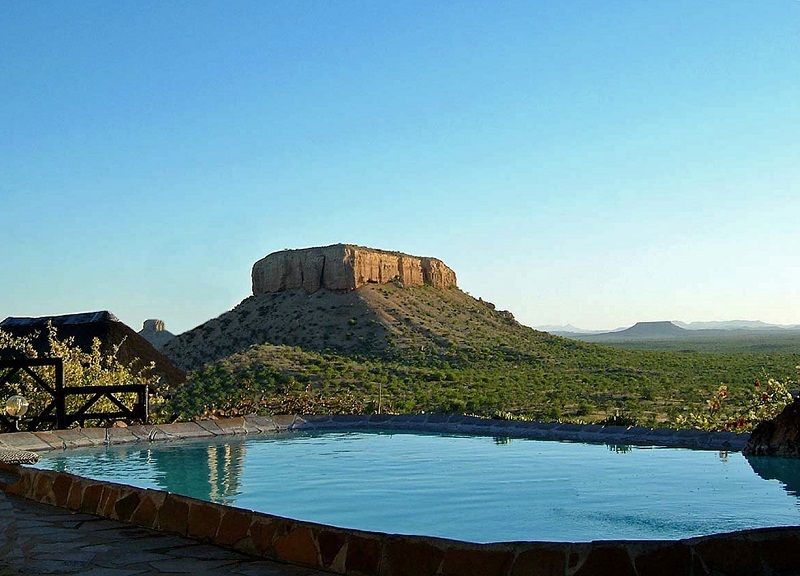 Activities include hikes, rhino drives, game tracking on foot, nature trails and a lot more. 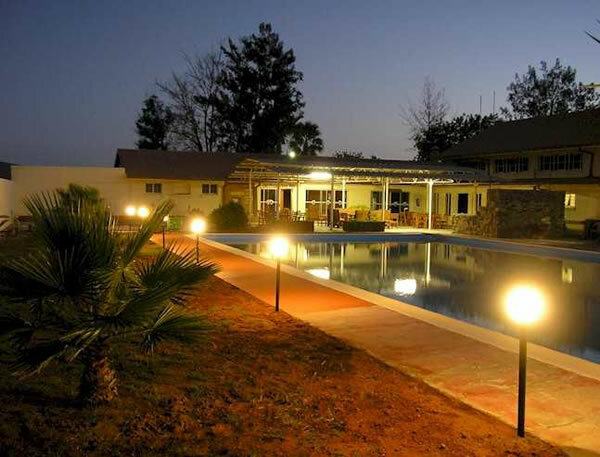 Overnight at Waterberg Plateau at a local B&B nearby or at the campsite in the Park. 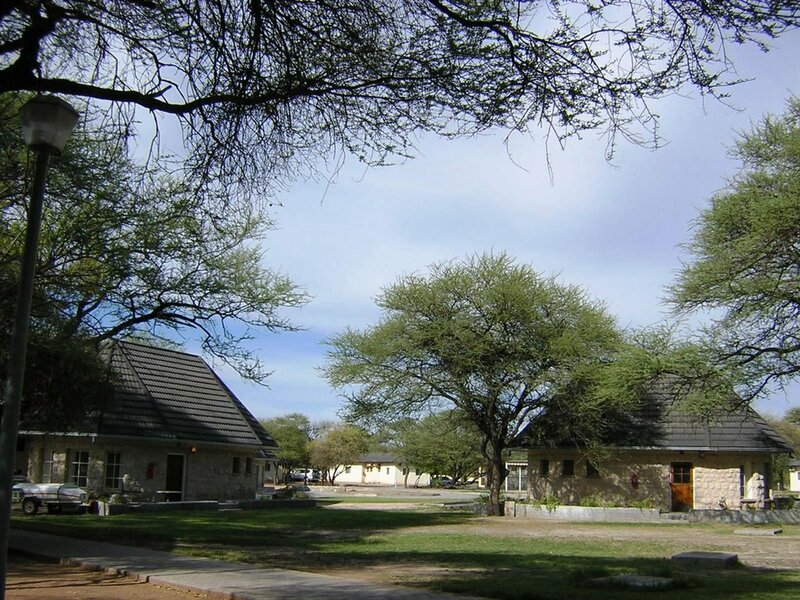 After the morning nature activity and breakfast you will head back to Windhoek where you will overnight at a local B&B / Hotel / Camp site in Windhoek. After a leisurely breakfast in your camper, at a local restaurant or at your B&B / Hotel you will travel the short distance back to Windhoek International Airport where you will drop-off your minibus / camper / say farewell to your driver / guide and board your return flight home. End of services. The above itinerary is only a suggested itinerary, and is based on our years of doing overland tours / safaris to Namibia. It can be lengthened, or shortened, depending on your specific requirements. A Botswana overland add-on could also be included.